It’s Brainstorming Day at the Halloween Costumes office, which is pretty much the greatest day ever. There are minds wandering all over the place and the walls are covered in wacky drawings and someone threw their thinking cap in the microwave again. There were sparks. So many sparks. 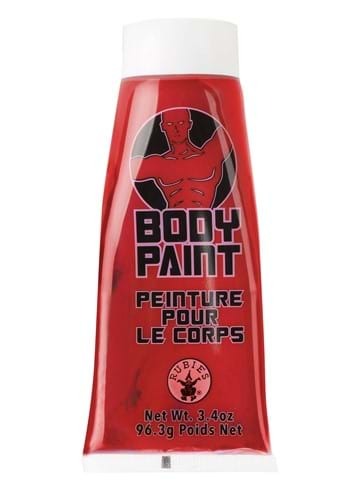 Today’s topic for brainstorming: the many uses for red body paint. First off, there’s blood. I mean, that’s a given. Second, a sporting event. Classic. Third, you’ve got your demon and devil costumes. Halloween staples, really. Next up, martians. The red kind, not the green kind, obviously. And then you’ve got your superheroes, which come in all kinds of colors, including red. Beyond this, you’re probably getting into conceptual Halloween costumes. Human expressionistic paintings. People that can transform into trikes and red wagons. The HTML font color attribute. There aren’t any rules on Brainstorming Day. So what are you getting in this tube of red body paint? That’s easy. 3.4 ounces (oz) of paint that is red and made for applying to the body. There’s not much more that we can say about that.